Handcrafted Video Content that inspires & engages. VideoScribing is a collaboration of creatives working together. TO CREATE FUN CORPORATE VIDEOS THAT PROMOTE YOUR PRODUCT, SERVICES AND BRAND. and succeeds in engaging and inspiring them. Just read our fan mail. a lot of flexibility and some ‘out-of-the-box’ thinking. From the outset I found them both incredibly professional. Nothing was too hard or too much trouble. Not only did they both bring their expertise to our project but their enthusiasm was contagious. into something that exceeded all expectation. and ‘can do’ attitude made them a joy to work with. They work to schedule and to budget and they do a damn great job!!!! to anyone who requires any kind of video scribing work. I will certainly be coming back again and again." 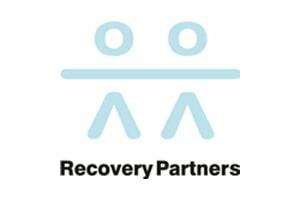 "Recovery Partners hired Alex and Dani from VideoScribing.com.au to create a series of video messages. These were used as a component of large scale training programs for our clients. The videos had to be both informative, fun to watch and engaging for a target audience with English as their second language. Alex, Dani and their team worked closely with us throughout all the stages. Their communication was highly professional and their collaborative approach made the projects run smoothly. Each video was professionally crafted, easily understood, very creative and importantly delivered on time. It was a pleasure working with Alex and Dani. I would highly recommend them to anyone wanting to promote their services in a creative, fresh way." to explain the value and business benefits of janusSEAL. and different from a series of screen shots or an “expert” talking to camera. Video Scribing developed a script and storyboard to start so we knew exactly what was to be filmed. to keep the integrity of the message. It’s now on our website. Alex and Dani worked closely with us throughout the whole process. We would recommend Video Scribing’s creative work. that helps with the explanation and retention of the business proposition." "I just wanted to thank you both for the amazing job you did for our Paediatric Journey video. We are sure it will assist our paediatric patients to be better informed prior to their surgery at WPH." using a caricature adaptation of Raymond the Ram. and captured Raymond’s mood and character without making it appear ‘cheesy’. The original scope for use of the cartoons was expanded due to the quality of the work Dani produced. I found Dani to be professional, reliable and easy to deal with. I would definitely recommend Dani’s services." so thanks for your hard work in making it look so good Thanks, Pete."